Leve-Sil Hardener Densifier is available in two chemistries. You can order it in Sodium based chemistry or a Lithium based chemistry. We try to provide the best value of Hardener Densifier available to the market. Leve-Sil is on average twice the solids of competitive products as well as not containing any unwanted expanders such as silicones. Silicones do not penetrate into the concrete and end up leaving white patches on the surface of the floor. Our Densifier only contains Sodium Silicate or Lithium Silicate. These hardeners react with free Calcium Hydroxide present in the concrete to produce that same molecule that concrete naturally forms to hold itself together, Calcium Silicate Hydrate. There are no other volatile organic chemicals VOC's or any other hazardous chemicals in Leve-Sil products. This is the most green and least reactive product to have on your floor. If you care about the job you do then you owe it to yourself to use a product that will still be down protecting a few years later. We can ship only the active chemical in condensed form so that you are not paying to ship water. Or we can pre-mix it for you. Depending on how you apply the hardener onto the concrete slab, you will have a certain amount that will penetrate into the surface depending on how dense the concrete is and if you apply enough water to suspend the solution until it has worked its way down into the concrete surface with a broom. You can either apply it as some spec's call for floating the floor with a layer of hardener and water, working it until it has reached full penetration and then vacuuming the excess off. Or you can apply a layer of Hardener with water, work it with a broom and then leave it overnight or longer for full effect. 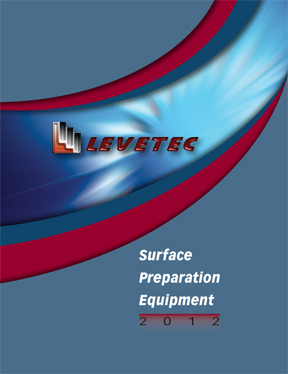 With Leve-Sil you start with 20% solids so you are able to thin it out with water to aid penetration or you can put it on neat to very soft concretes. Why don't we sell Colloidal Silica?....................... It is because it is fast reacting both to put down and to disappear from the floor after the fact, simply by washing of the floor. At best Colloidal Silica forms a jell in the concrete, it is extremely reactive in this form, it has an average pore size of 2.4 nanometers and has a strong affinity for water molecules. While this does make them react quickly with the floor when putting them down, it also stays in this form so that it will react with water just a little slower than it did going down when mopping or auto scrubbing. A little soap will speed this process even more. Some retailers even recommend that you finish with a Lithium Silicate to protect the Colloidal Silica from erosion. So unless you don't care that the floor will rapidly fade to a dull look within weeks, you would do your reputation and your customer a dis-service to use Colloidal Silica for just a few minutes time gain. Penetrating sealers are based on concrete hardener chemistry and work by blocking the micro capillaries of the concrete with a crystal structure that is precipitated by the forming of crystals around any leftover calcium hydroxide (Ca(OH)2) in the concrete, to a depth dependant on the permeability of the concrete itself. This blocks or reduces the penetration of moisture into the slab and reduces other products such as de-icing chemicals from entering the surface. These types of sealers are mostly used outside to protect against the freeze thaw cycle in winters and it has the benefit of leaving the concrete with a matt natural looking finish. This type of sealer needs to be reapplied every 2-3 years after a through washing of the slab. This is easy to do and there is no appearance of flaking leading up to the reapplication. Since concrete polishing has come into vogue, these types of sealers have been used more and more to seal concrete polished floors. They can be buffed to a high shine and retain the moisture blocking properties as well as not sealing the slab completely, they allow the floor to "breath" or release moisture vapor from the slab itself. The benefit of this sealer indoors is that it looks natural and does not scuff with foot traffic as coatings would, thus decreasing maintenance. Acrylics and polyurethane sealers are coating based and therefore cover the surface of the slab with a film of the product used. Polyurethanes are about twice as trick as acrylics and therefore provide more protection against scuffs and staining, although polyurethanes do not like moisture until fully cured so the slab needs to be very dry when applying this product. Acrylics are easier to apply and are usually touch dry in an hour, so this product is best for the DIY user. Solvent based coatings tend to perform better then water based formulations. Acrylics scuff and wear the most, so a sacrificial coating or wax may need to be used to offset this tendency but use of sacrificial coating usually increases maintenance. Epoxy coatings are used mostly indoors as they tend not to be very UV stable and will yellow in sunlight. They usually come in a two part mixture that is mixed just prior to application. Epoxies are the most impermeable of all coatings, which can be good when you want a complete block to penetration of the slab, but this feature will also trap moisture in the floor which can force the coating from the slab surface. Should I polish Wet or Dry? How do I maintain the Shine?